The drone strikes had been temporarily halted earlier this year to provide the Pak govt a chance to have talks with the Tehrik-e-Taliban Pakistan. Pakistan has criticised drone strikes as a violation of sovereignty and counter-productive to anti-terror efforts. 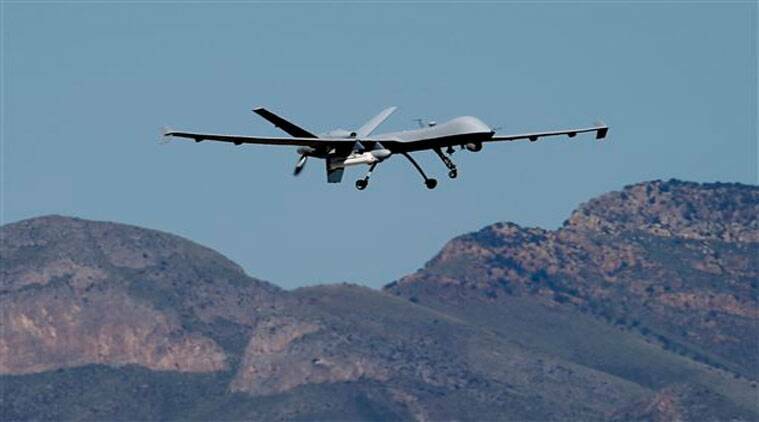 At least eight militants have been killed in a US drone strike on a compound in Pakistan’s restive tribal region near the Afghan border. The CIA operated drone fired two missiles at the compound in Datta Khel area of North Waziristan Agency yesterday killing eight terrorists, officials said. The drone strikes had been temporarily halted earlier this year to provide the Pakistani government a chance to have talks with the Tehrik-e-Taliban Pakistan aimed at ending their seven-year insurgency. However, US President Barack Obama in May made it clear that he will continue to authorise drone strikes and covert operations abroad to capture terrorists based on “actionable intelligence”. Pakistan’s military in mid-June had launched an all-out operation, named ‘Zarb-i-Azb’, against Taliban militants in the region which is still under way.